CAPE CANAVERAL — The Centaur upper stage launching the Cygnus space freighter Tuesday persevered through a velocity shortfall from the first stage of the Atlas 5 rocket, improvising with a longer firing to reach the correct orbit. 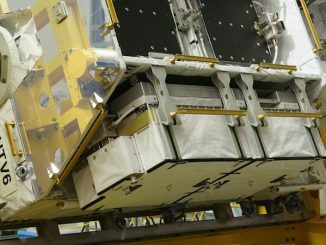 The 16,500-pound payload was injected into a 147 by 144-statute-mile orbit at 51.6 degrees inclination as planned despite the first stage issue, sending Cygnus on its way to rendezvous with the International Space Station on Saturday. 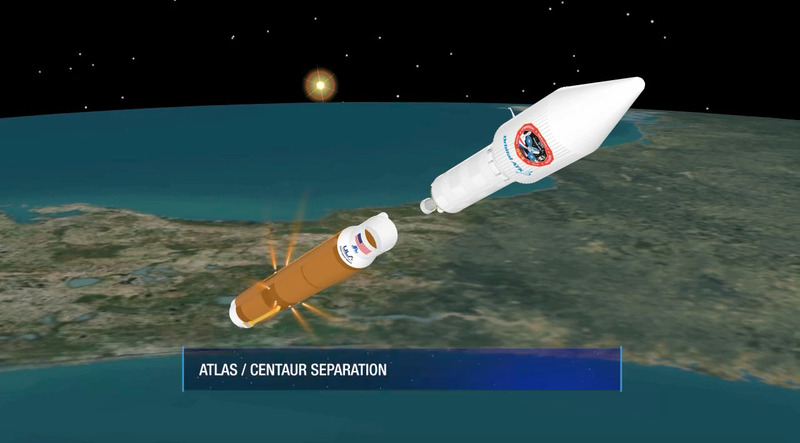 United Launch Alliance confirmed the hiccup today, stressing that the Atlas 5 had sufficient margin to deal with the situation and still successfully deliver Cygnus to its desired dropoff point. “The Atlas 5’s robust system design, software and vehicle margins enabled the successful outcome for this mission,” officials said. 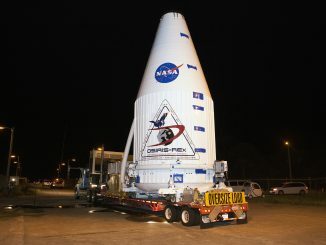 Departing Cape Canaveral’s Complex 41 right on time Tuesday at 11:05:52 p.m. EDT (0305:52 GMT), the 194-foot-tall rocket lit up the Florida skies with what appeared to be a picture-perfect ascent. The rocket lifted off 15 minutes before the plane of the International Space Station passed over the Cape. That meant the vehicle had to use its steering capabilities to glide into the orbital plane during flight, a feature of the Atlas 5 system that enabled a much larger launch window than rival boosters. Climbing to the northeast on 860,000 pounds of thrust, the rocket hit Mach 1 in 83 seconds and the region of maximum dynamic pressure at 94 seconds. The rocket had expelled half of its liftoff weight in two-and-a-half minutes and three quarters just over a minute later. The RD-180 main engine, powering its 68th Atlas, concluded its firing just over four minutes after liftoff. But it shut down about five seconds prematurely compared to pre-flight predictions, robbing the flight plan of the durable thrust — and speed — for the final five seconds of the first stage burn. The core stage separated and the RL10C engine of Centaur was ignited to produce 22,900 pounds of thrust. It was supposed to be a burn lasting just shy of 14 minutes to heave the payload into the targeted orbit. With the first stage performance shortfall, however, the Centaur ended up firing for 15 minutes to get Cygnus where it wanted to go. The flight computer guiding Centaur told the RL10C powerplant to continue burning for more than a minute longer than advertised to achieve the proper velocity and orbit before the commanding engine cutoff. 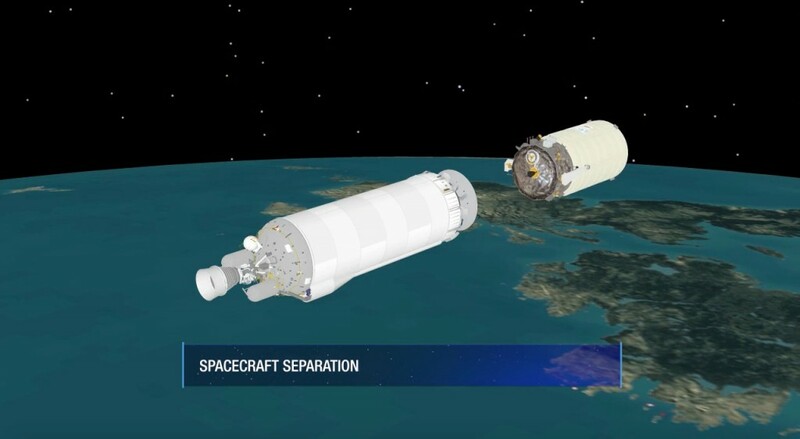 The discarded Centaur was programmed to perform a deorbit burn after Cygnus deployment to remove itself from space. The stage did re-enter but not precisely in the box south of Australia. Officials said any surviving pieces from the atmospheric plunge did not make it to land. Are five seconds in a 22-minute ascent really a big deal? United Launch Alliance is not taking the situation lightly. It is studying the data to figure out root-cause of the first stage shortfall and determine what, if anything, needs adjusted before the next launch. “The team is evaluating the occurrence as part of the standard post-flight data analysis,” officials said. 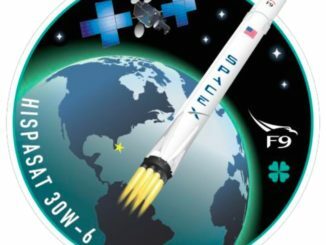 That next Atlas flight is planned for May 5 from Cape Canaveral carrying the U.S. Navy’s fifth and final planned MUOS mobile communications satellite. Officials said it is too early to speculate on any impacts to the manifest. Tuesday marked the 62nd flight for Atlas 5, born of the Air Force’s competition to develop next-generation Evolved Expendable Launch Vehicles. 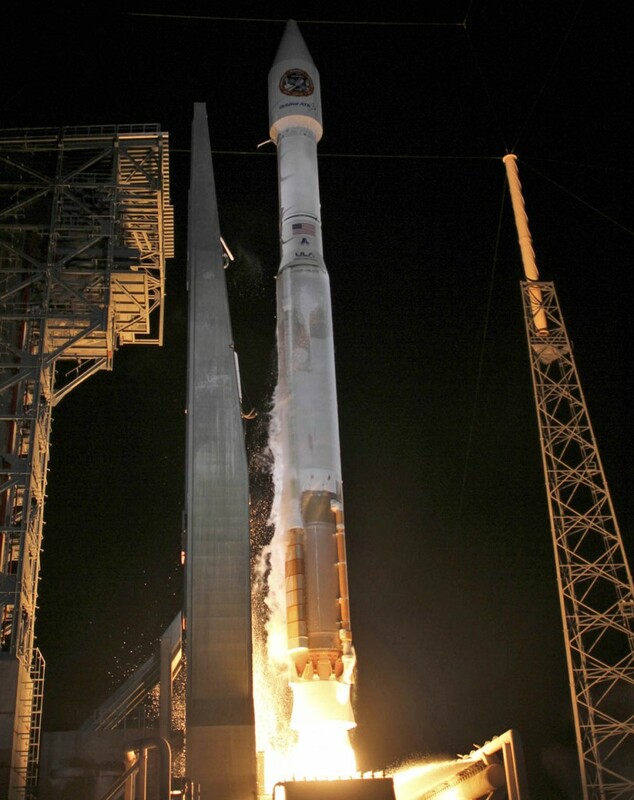 Since debuting in August 2002, the Atlas 5 has flown 24 flights dedicated to the Defense Department, 14 commercial missions, 12 for NASA, 12 with spy satellites for the National Reconnaissance Office.